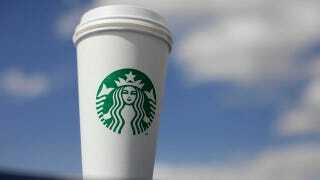 The Equal Employment Opportunity Commission is suing Starbucks for firing a woman who has dwarfism in July 2009. After three days of barista training, the woman was fired from an El Paso store on the same day she asked for a stool or small stepladder to perform her job. The government says Starbucks violated federal law by failing to provide the woman with reasonable accommodation. However, the company says she had only been hired on a trial basis, and a manager determined she could be a danger to customers and workers. "Using the stool in that environment just wasn't a reasonable accommodation in that store," said a company spokeswoman.